Is the match going ahead? On this week's episode of recap show WWE Main Event, host Scott Stanford let slip that newly-crowned SmackDown Women's Champion Asuka would be defending her title against the deposed Becky Lynch come Royal Rumble. With such an official sanction, the match seemed set in stone, right? 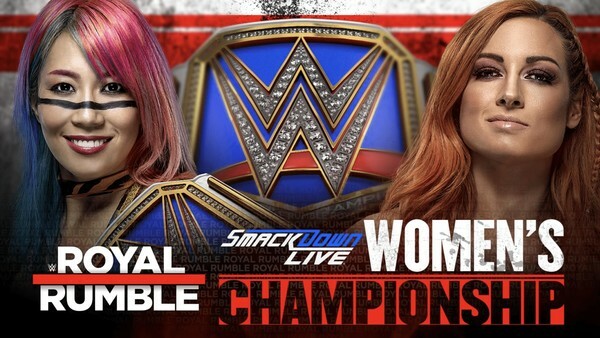 Soooo I tried to make one last match before my time as #SDLive GM came to end...but unfortunately @BeckyLynchWWE vs. @WWEAsuka for the Smackdown Women’s Championship is NOT official for #RoyalRumble. #Oops. With the festive episode of SmackDown taped and this slight snafu swiftly swept under the rug, expect never to hear anything more about it on WWE TV again... unless the company decide to actually go ahead with the match closer to the date. Asuka snatched Lynch's title at last week's TLC, prevailing in an eponymous Tables, Ladders and Chairs match thanks to a dreaded distraction from Ronda Rousey. In doing so, she became the second Japanese woman to hold top gold in WWE, following in the footsteps of Bull Nakano. WWE Royal Rumble is set for 27 January at Phoenix, AZ's Chase Field.